Slice cabbage, carrots and leak. Pre-heat your oven (175°C). Prepare 4 aluminum foils for the papillotes. 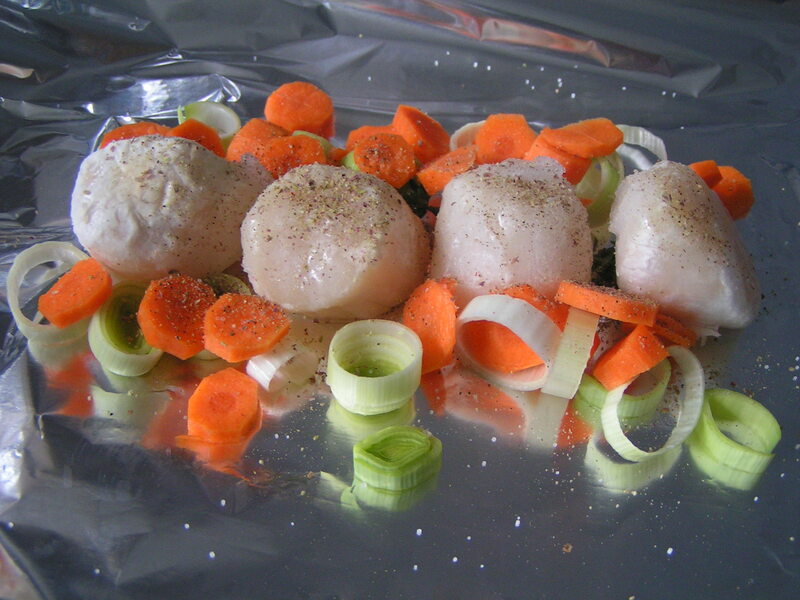 In each of them, lay 4 scallops on a branch of lemon thyme, add carrots and leak slices to both sides, season with salt, little pepper and half a teaspoon of blackcurrant pepper per papillote. Cover with cabbage and start folding the foils to make a bag. Drop 50 ml of cream in each bag and fold the papillote carefully until completely sealed. 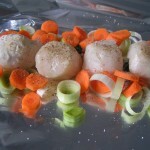 Bake for 20 minutes and serve with boiled potatoes.